In the UK, there are a wide variety of car servicing deals to determine how much a car service costs. These range from simply having the oil and filter changed, to a mid-range option known as a basic or interim service, all the way up to a full service. The number of checks made on the vehicle differs with each servicing type and this is reflected in the price; make sure you know exactly what’s included as a full service cost can leave you empty pocketed for little reason. Each car will have a different servicing schedule, which is set by the manufacturer, and can be found in your car’s manual pack. The service schedule lays out which areas of your vehicle require attention at specific service intervals. If your car is still under a manufacturer’s warranty, it is absolutely essential that you follow the guidance in the servicing schedule; failure to do so could invalidate your warranty. MyCarNeedsA.com can tailor all work towards your vehicle’s requirements especially if it is still under warranty. Legally, you can take your car to be serviced at any garage, you do not have to use a main dealer. It is worth noting that 4x4s, prestige cars and sports cars, can bear higher servicing costs than your average family vehicle. This is due to a number of factors, including the cost and quality of the oil/parts required and the specialist tools needed to perform the service. MyCarNeedsA.com provide competitive servicing quotes for all types of vehicles, including prestige vehicles and 4x4s. This is the most basic type of service . The oil and oil filter is changed and a visual inspection of the vehicle is undertaken. However no specific safety checks, such as checking the brakes, are made. Between £50-£150, depending on your location, the type of oil required and the cost of the filter. Fluid levels; for breaks, washer and antifreeze and transmission fluid. The exhaust and checking for any leaks. The garage will also stamp your service book and reset your vehicle’s service light (if applicable). Anything from as little as £70, up to around £250, depending on the cost of the oil and parts for your vehicle and your location. Always be sure of exactly what is included in your service. Know what you are getting for your money, so there will be no nasty surprises when you collect the bill. If you aren’t sure what type of service your vehicle needs, MyCarNeedsA.com can provide specialist advice. Pollen filter and air conditioning checks/replacements. A top up of brake fluid and antifreeze. A more thorough checks of the brakes, engine, shock absorbers and wheel bearings. It covers everything other than the replacement of parts outlined in your servicing schedule, such as spark plugs, fuel filters etc; these can be changed at the same time, but are usually a chargeable extra. MyCarNeedsA.com will, of course, advise you of the cost of required extras before proceeding. How much does a full car service cost? It’s a really tricky one, there is no steadfast answer and it depends on the cost of the parts and the servicing schedule of the vehicle. For a lower budget, small car, you could find a great deal from around £79, but for a top of the range, luxury motorcar the cost will be significantly higher. Servicing costs are 100% dependant on the type of car you drive and it’s servicing schedule; higher spec vehicles require specialist skills and parts, which in turn incur higher costs. This said, a typical deal will see costs begin at around £150.Always be sure to ask what is included in a service and make sure you are getting the best deal for your needs. How Do I Know When My Car Needs Servicing? 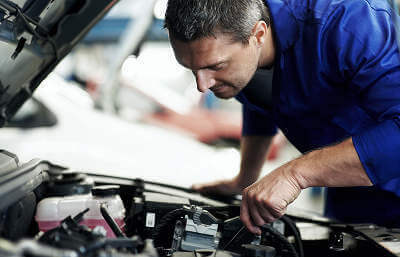 MyCarNeedsA.com can provide specialist advice on the servicing requirements of your vehicle. This will include specific information from the manufacturer regarding necessary replacement parts in line with the servicing schedule. You can then quickly obtain local and efficient quotes from MyCarNeedsA.com’s approved supplier network. The beauty of this arrangement is twofold: once you've submitted the work in one quick job post, you need do no more. Our network of garages will quote for your work, offering specifics such as price, time, location and if you've asked for a courtesy car or other perks, they will be included. You then can choose the right quote for you. If that's the cheapest, so be it. If it's the quickest, so be it. The choice is yours. If you have a job you'd like the best quote for, you can submit the work to our garages here. Or, if you'd simply like to learn more about how our service works and see the benefits, you can register here.